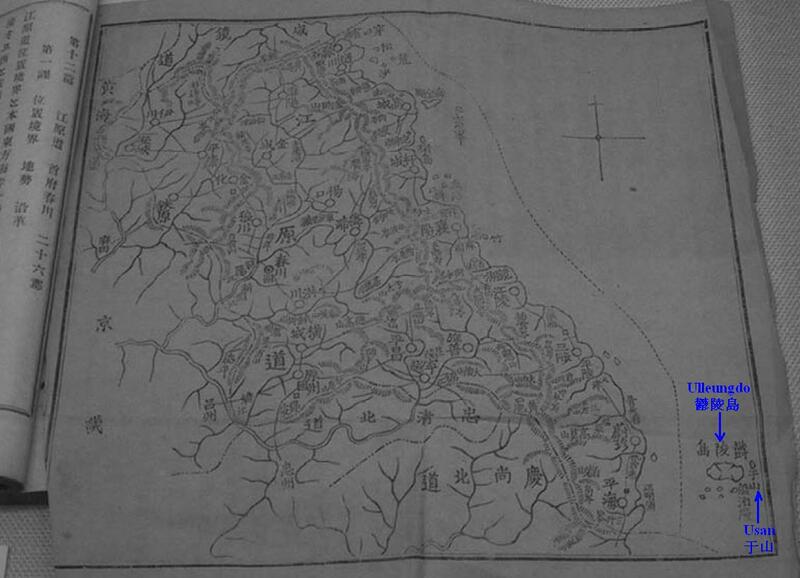 Below is a map of Gangwon Province from the 1901 edition of a Korean geography book called Daehanjiji (大韓地誌), which was written by Hyeun Chae (玄采) and published by Gwangmun-sa (廣文社 - 광문사). 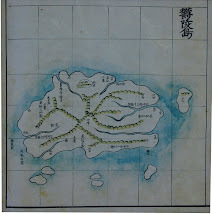 The map shows "Usan" (于山) as a neighboring island of Ulleungdo (鬱陵島), in a position that suggests that it was almost certainly Ulleungdo's neighboring island of Jukdo. 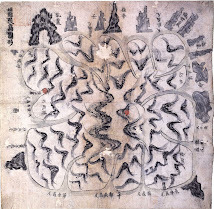 Korea claims that Usando was the the old Korean name for "Dokdo" (Liancourt Rocks), but this map, and many others, is evidence against that claim. 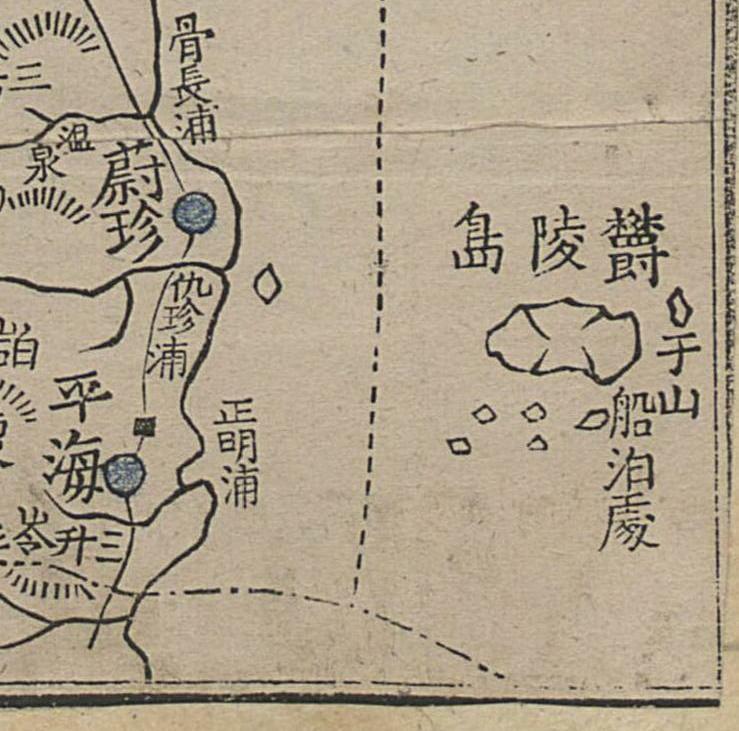 In an 1899 article, HERE, from the Korean newspaper, Hwangseong Sinmun (皇城新聞), "Usando/Jukdo" (于山島竹島) was described as being Ulleungdo's most prominent neighboring island. 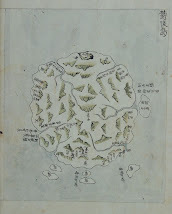 Korean historians interpret the name Usando/Jukdo (于山島竹島) as being two separate islands, but based on old Korean maps and documents, it is much more likely that the name 于山島竹島 was meant to show that the one island had two names. 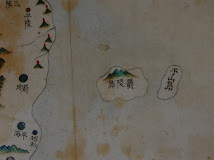 Notice that "Usando" (于山島) came before "Jukdo" (竹島) in the word combination, which suggests that even if the word combination had been referring to two separate islands, then Usando would have been the larger since it was named first; however, since Ulleungdo's neighboring island of Jukdo is larger than Liancourt Rocks, that still would have implied that Ulleungdo's neighboring island of Jukdo was called "Usando." Besides, can Liancourt Rocks (Takeshima/Dokdo) really be considered a neighboring island of Ulleungdo considering that it is ninety-two kilometers away from Ulleungdo? In 1900, the Korean government upgraded Ulleungdo's status to a county of Gangwon Province. In the royal edict (#41) that announced the upgrade, Ulleungdo (鬱陵島), Jukdo (竹島), and Seokdo (石島) were described as making up the county. 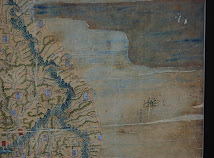 Usando was not mentioned in the edict, in spite of being described as Ulleungdo's most prominent neighboring island in the Hwangseong Sinmun article just a year earlier. The only possible explanation is that "Jukdo" and "Usando" were two names for the same island, and the Korean government decided to make "Jukdo" the official name instead of "Usando." 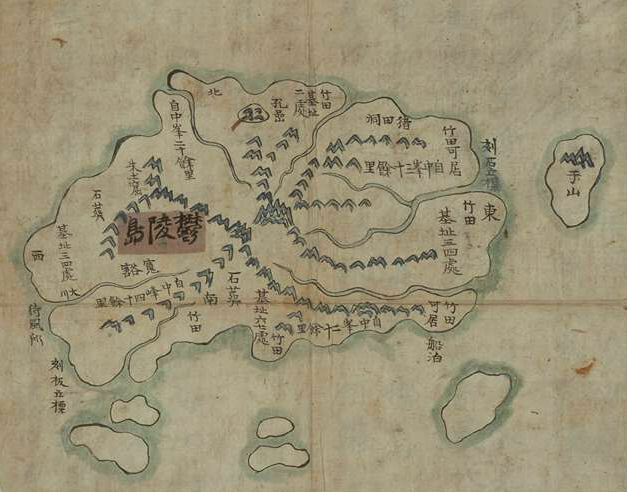 Koreans claim that the "Seokdo" (石島) mentioned in the 1900 royal edict was a reference to "Dokdo" (Liancourt Rocks), but there are no Korean maps or documents to support that claim. "Seokdo" (石島) means "Rock Island," so it is much more likely that it was used as a catchall word to include in the county all the other "rocky islets" that surround Ulleungdo. And the text itself excluded Liancourt rocks, as it says that the eastern limit of Korea is Ulleungdo (including Jukdo). I can't see the map for today. Am I the only one? Is it due to my computer? 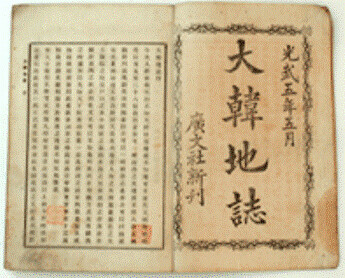 I confirmed 大韓地誌 1906 eddition in Korean national Library is also same contents with 1899 version. by the way someone please check and let me know the contents of 朝鮮地誌 on kyuujanggak. Unfortunately, it does not tell us exactly where Usando is, but I did notice that "Jukdo" (竹島) was not mentioned, which suggests that Usando was still the more popular name for Ulleungdo's neighboring island among geography book writers in 1895. Also, the dimensions of the island match other descriptions. I think they just added　芋山島,referenced from other geography informations. Only the information avove, I cannot judge 芋山島 on this doccument is Jukdo. 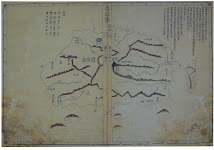 Jukdo is shown on 1882 maps and Usando is shown on 大韓地誌1899. I think they don't know what is　芋山島. If they recognized 芋山島 be Liancourt Rocks, they would wrote 芋山島 is 200余里 away from 鬱陵島. eastern bountary, Location, attached map and so on. 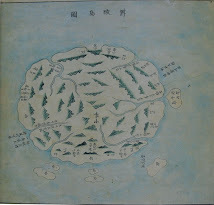 the name 于山島竹島 was meant to show that the one island had two names. 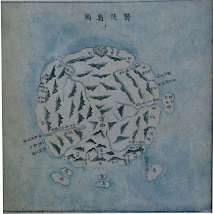 于山島竹島 is the name of one island? There's no such a weird name in the history of Jukdo or Dokdo. 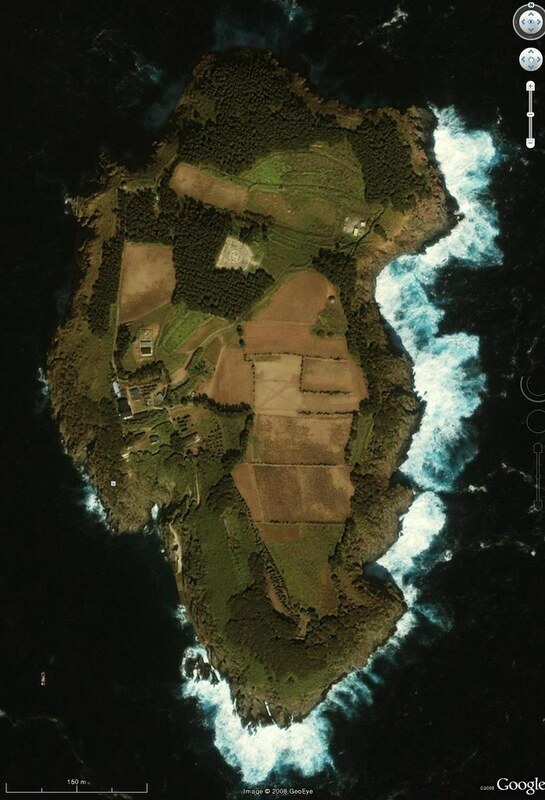 于山島 is Japanese's Matsushima (Dokdo) as Ahn Yong-bok said. --> Who did set the rule that Jukdo should come first in the word combination because it's larger than Usando(Dokdo)? How about this rule that Usando should come first because it's more important than Jukdo? There's no way readers can know why Usando comes before Jukdo in this newspaper article, but what obvious thing is that Usando and Jukdo are the most prominent Ulleongdo's neighboring islands. Besides, can Liancourt Rocks (Takeshima/Dokdo) really be considered a neighboring island of Ulleungdo considering that it is ninety-two kilometers away from Ulleungdo? --> Historically, both Korean and Japanese documents explained Ulleungdo and Dokdo are not far from each other and Dokdo is visible from Ulleungdo. 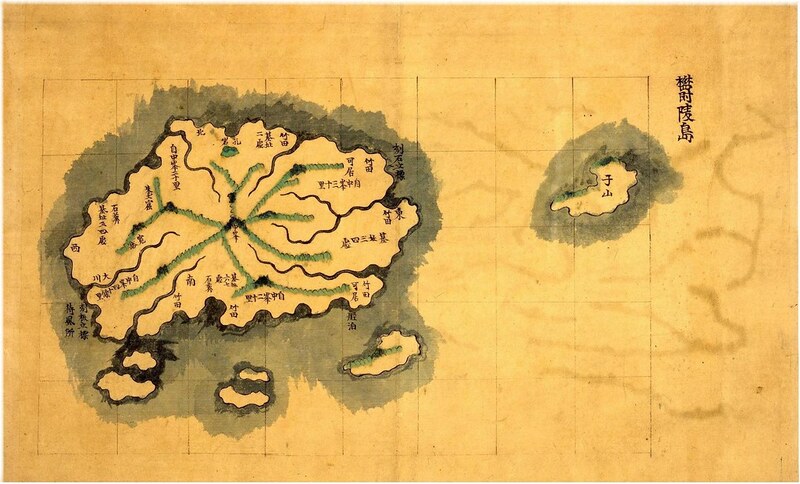 And there are Japanese documents describing Dokdo as "island within Ulleugndo( 竹島之內松島)", "island near Ulleungdo(竹島近邊松島), "an attached island to Ulleungdo(松島ハ竹島ノ隣島) and so on. How come do the Pro-Japanese people ignore the Japanese own records clearly describing Dokdo as Ulleungdo's neighboring island? It's true that Usando(Dokdo) is Ulleungdo's neighboring island. 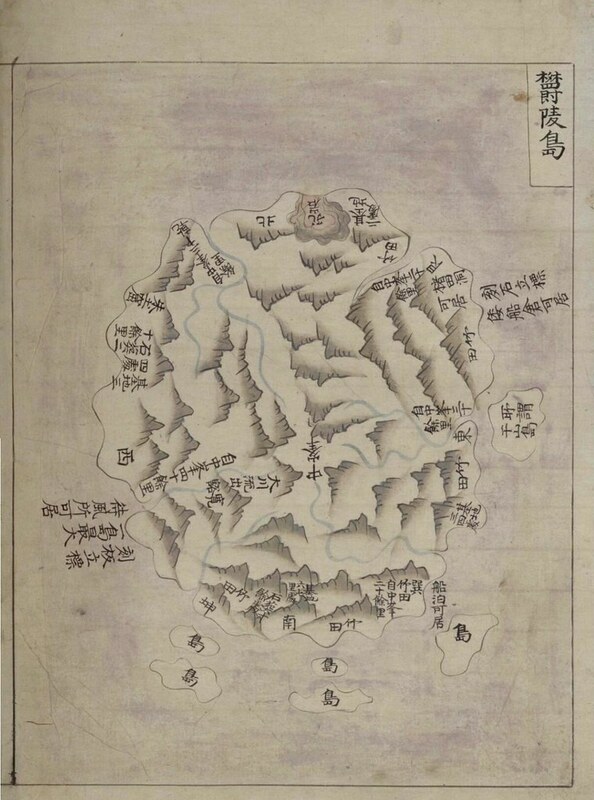 Koreans claim that the "Seokdo" mentioned in the 1900 royal edict was a reference to "Dokdo" (Liancourt Rocks), but there are no Korean maps or documents to support that claim. --> It's very, very sorry Korea didn't have any map or document showing Seokdo to stop Japanese from claiming sovereignty over Dokdo, but it doesn't mean Seokdo is not Dokdo. Seokdo is one of other names referring to Dokdo and there are many records proving Dokdo is Korean territory. To claim Seokdo is not Usando(Dokdo), pro-Japanese people should first answer then what Seokdo indicates. Seokdo means "rock island". 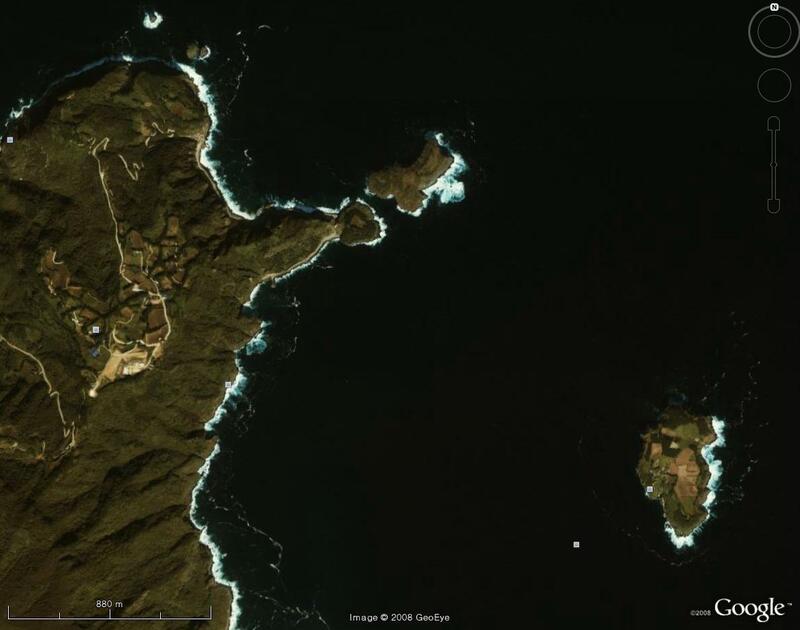 What is Ulleungdo's neighboring island which has meaning of "rock island" except Dokdo? it is much more likely that it was used as a catchall word to include in the county all the other "rocky islets" that surround Ulleungdo. --> Dokdo is one of all the other "rocky islets" surrounding Ulleungdo. So you proved Dokdo is included in the Ulldo County. 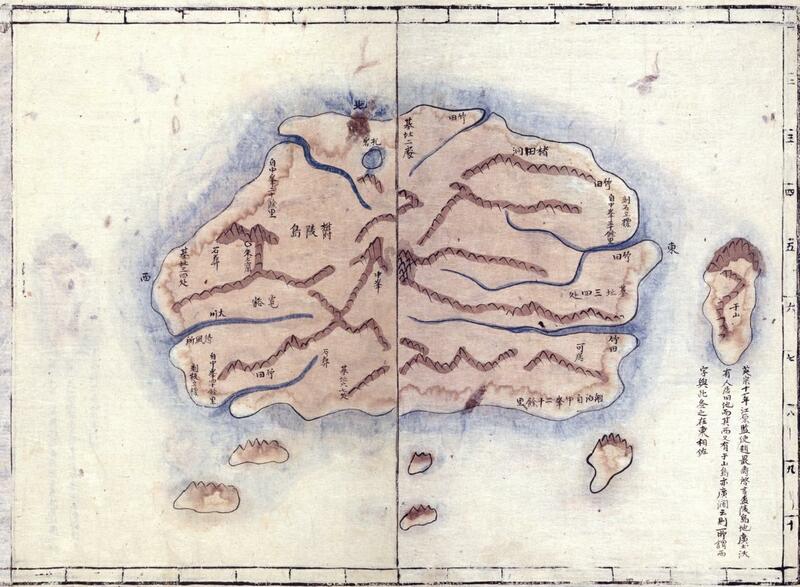 Your interpretation is not right, but I'm glad you admitted Dokdo is included in the Ulldo County. 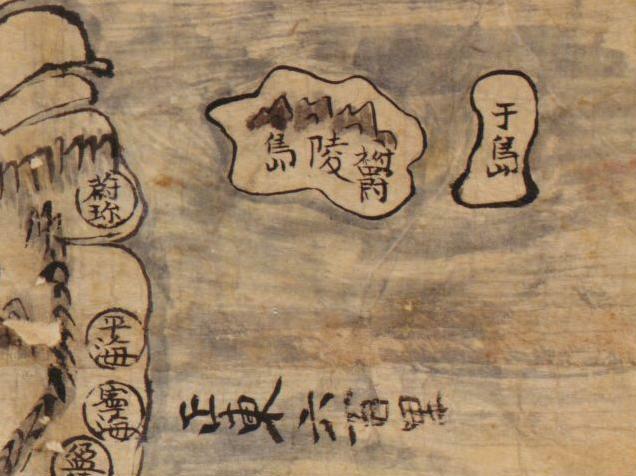 The location and size of Usando(Dokdo) in the 大韓地誌 is not accurate at all, but it's not the issue here. 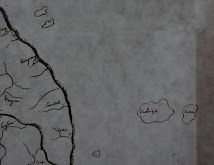 The important thing is mapmaker recognized Usando and tried to put it in the limited space of the map. 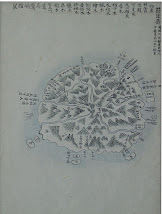 In conclusion, the authour of 大韓地誌 definitely considered Dokdo as Korean land. Oh, no, Dokdo. Here we go, again. 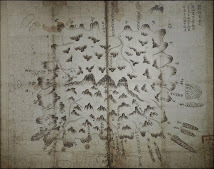 Daum Urges Koreans to Come Here and Vote "Dokdo"
Inspector's Map of Ulleungdo Shows Jasando (子山嶋)? 1883 - Japanese "Seaways Magazine"
Some help with this map, please? 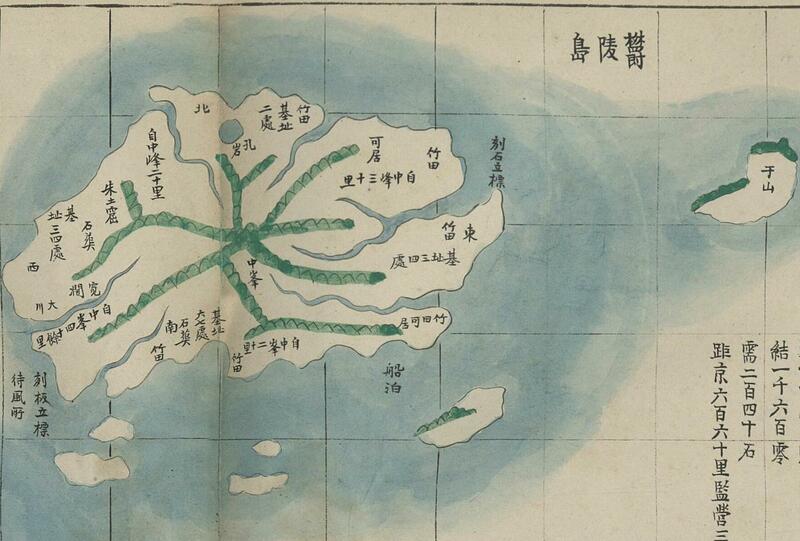 Why did Western Maps Show Ulleungdo as Japanese? 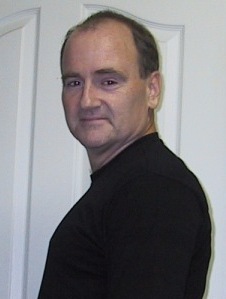 Where have all the Usandos gone? 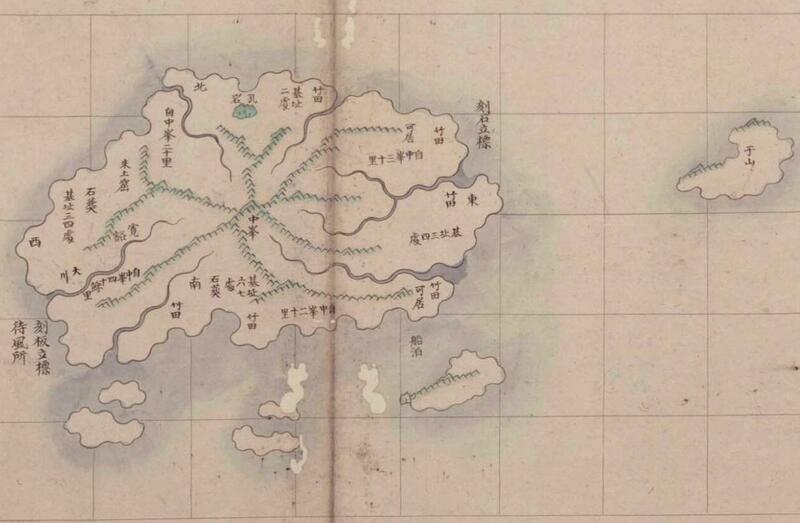 Japan's 1909 "Korean Fisheries Guide"
What does this 1855 Jpn map of Oki say?